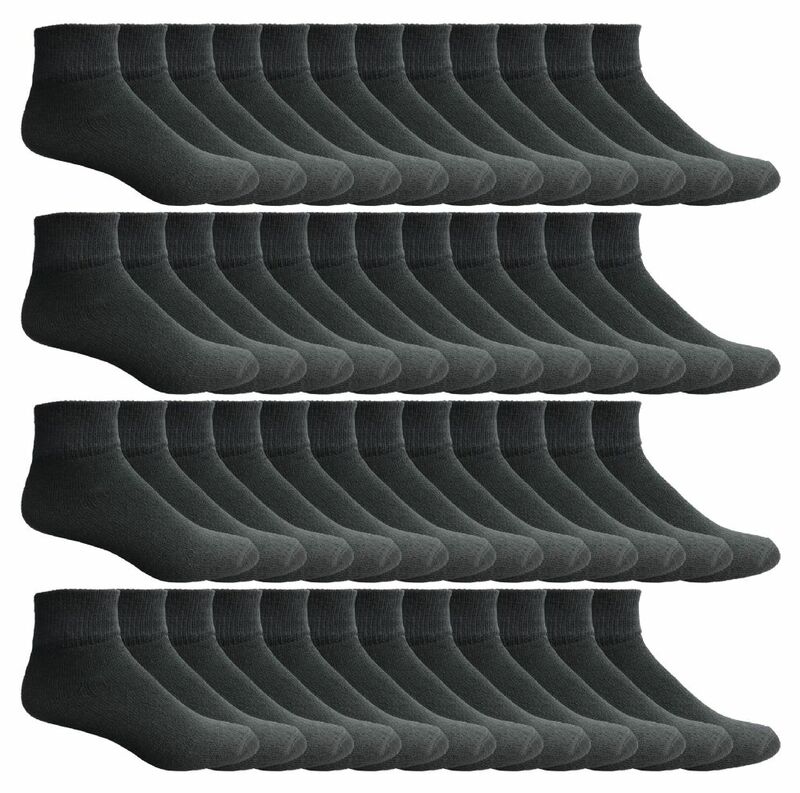 SOCKS'NBULK ANKLE SOCKS: Purchase wholesale bulk ankle socks in various case packs.Bulk purchasing is great for organization buying, donations or even a large house hold. Our bulk lots come in sizes ranging from young children to plus size adults. COTTON SOCKS: Here is what’s in side 80% Cotton 15% Polyester 5% Spandex. Cotton socks are made from a cotton plant’s seed pod so they are made of natural fibers. This allows socks to have breathability that prevents your feet from sweating or causing unwanted odors. Additionally cotton socks will dry 10 times faster than synthetic socks. Wear them and clean easily! SOCKS'NBULK branded socks are also known to be soft with a seamless toe feature. WHOLESALE PRICING: Our prices are geared for the bulk buyer to buy a everyday needed item in bulk for cheap without risking quality. Whatever market your making your purchase for commercial use personal use or donations SOCKS'NBULK branded socks are guaranteed to fit your project needs.